Actors are often inspired to improvise in the course of shooting a film, some of which became the most beloved moments every captured on film. Here are a few of our favorites. 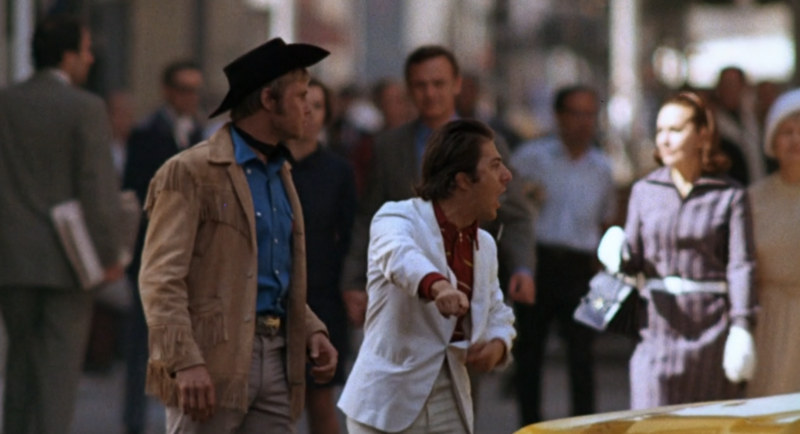 During Midnight Cowboy, a real life taxi missed the signs warning him that he was about to drive onto a film set and nearly hit Dustin Hoffman and Jon Voight. 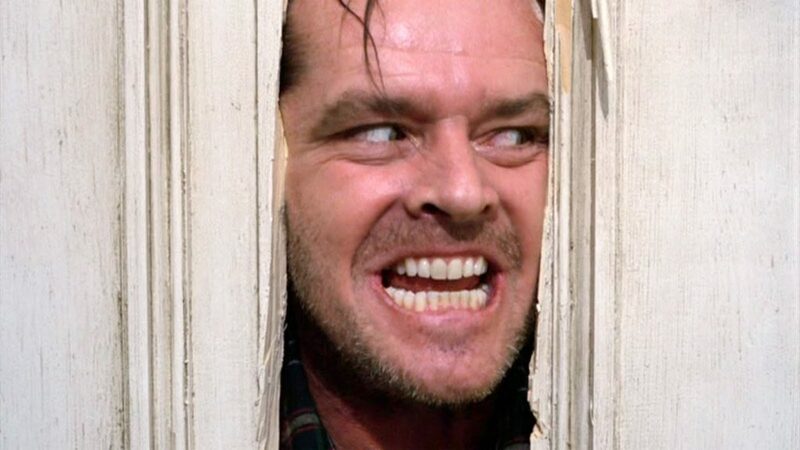 Hoffman channeled his character to scream, “I’m walking here!” which became a signature moment. When Harry Met Sally is still one of the most iconic romantic comedies that’s ever been released. The film gem released in 1989 was directed by Rob Reiner. 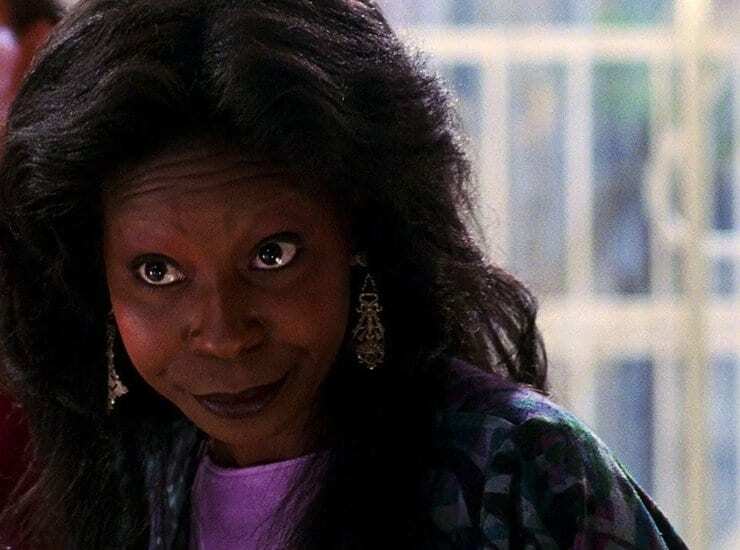 At one point, Billy Crystal as Harry tells Meg Ryan as Sally, “I would be proud to partake of your pecan pie.” The line hadn’t been written by Nora Ephron, but Meg Ryan couldn’t help but laugh at Crystal’s silliness. Reiner liked it as well, and the line stayed. There are a number of actors who find themselves entirely absorbed in the character they were playing in a technique known as method acting. Heath Ledger was among the practitioners of this technique, most especially for his role as The Joker in The Dark Knight. 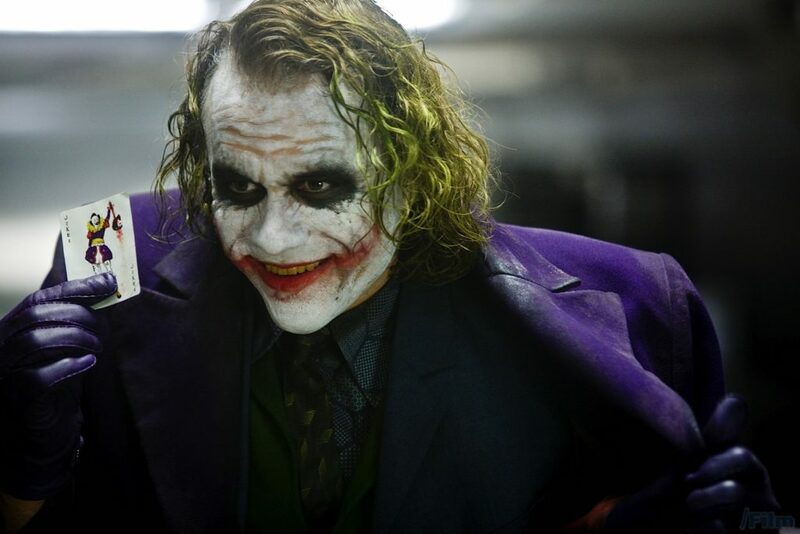 While Ledger didn’t quite make up a line to throw into the movie, his response to Commissioner Gordon’s promotion as portrayed by Gary Oldman was the sarcastic slow clap that Ledger completely improvised. The film Deliverance, which starred Jon Voight alongside Burt Reynolds, is a thriller that tells the harrowing adventure on which a group of friends embarked, only to find that it quickly brings them to the brink of disaster. There’s one particular scene that sticks in most fans’ minds, when the posse is set upon by a bunch of violent hillbillies. One of them yells to the stars, “squeal like a pig,” which he then does, a move that was entirely unplanned. Being John Malkovich is somewhat absurd in its very premise, which made it all the more likely that on set mishaps might make the final cut. During one scene, an extra, who turned out to have been drunk at the time, is seen throwing a can towards Malkovich’s head while he simultaneously shouts,”Hey, Malkovich! Think fast!” The extra’s move was unanticipated, but the director liked how the scene played out and decided to leave the incident in the completed film. Though the The Godfather usually takes the crown, Goodfellas is up there among the best gangster movies ever made. 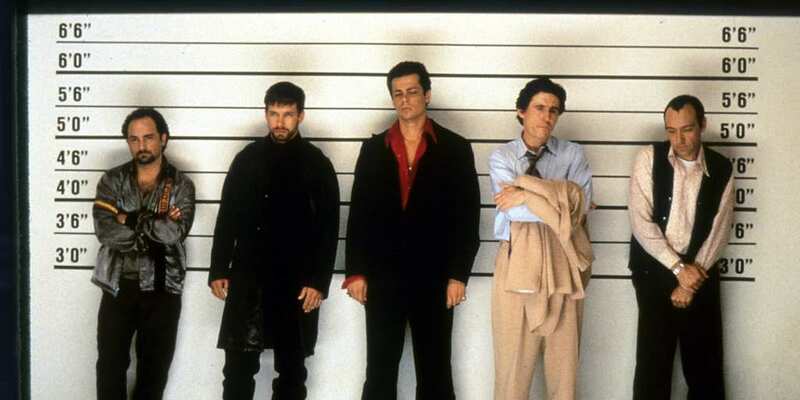 Directed by Martin Scorcese, the cast, which included Robert De Niro, Joe Pesci, and Ray Liotta, often had space to improvise within the film’s script. 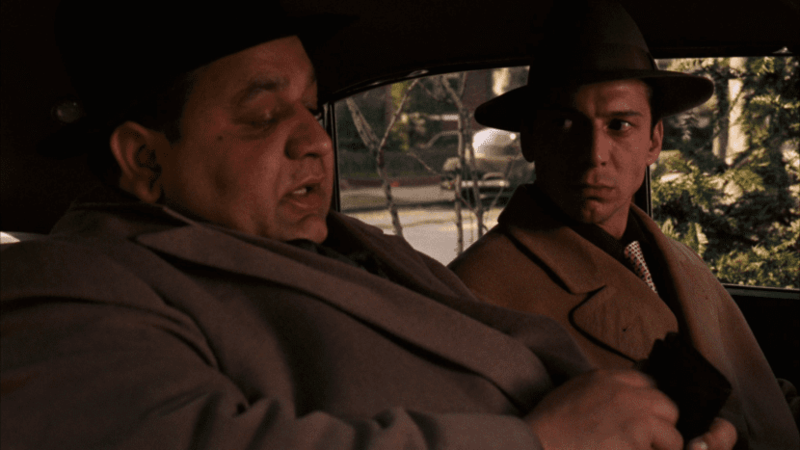 The most notable of these moments, however, came from Pesci who as Tommy was upset when he was called a “funny guy.” His response, “Do I amuse you?” has been repeated ever since. It’s easy to understand how an actor can really make or break a role. 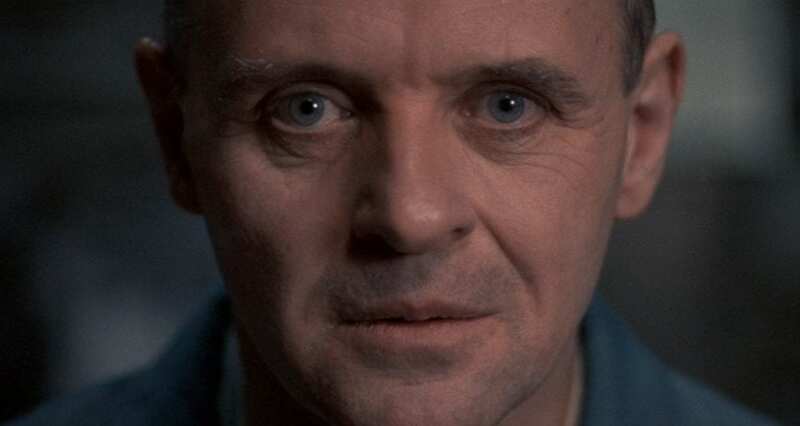 In the case of The Silence of the Lambs, Anthony Hopkins gave his character, Hannibal Lecter, several unscripted ticks that ended up becoming integral to the film. The moment that stands out the most occur during his monologue to Jodie Foster regarding eating a human liver with “fava beans and a nice Chianti.” While they rehearsed that scene, Hopkins added in Lecter’s signature hiss, and it stuck. 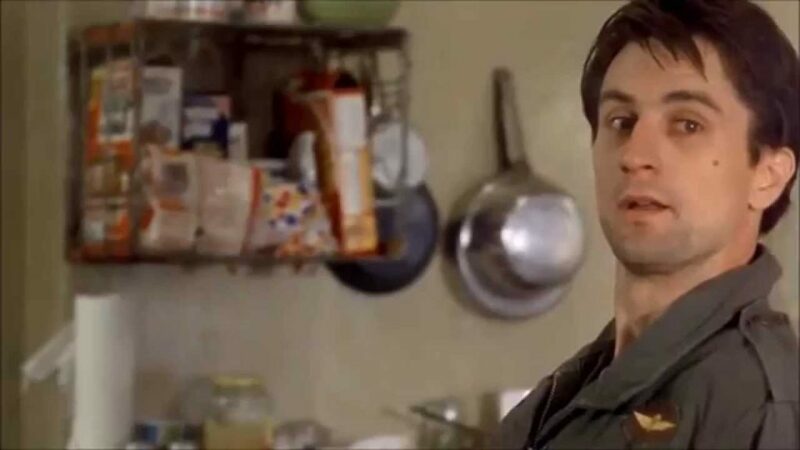 When one thinks of the Martin Scorcese film, Taxi Driver, they often think of the line, “You talkin’ to me?” But the well known line wasn’t something that was originally written in the script. De Niro’s stage direction only said that his character should be looking in the mirror. More specifically, it said “Bickle speaks to himself in the mirror.” Scorcese let De Niro play around as they filmed the scene, and a classic film moment was born. 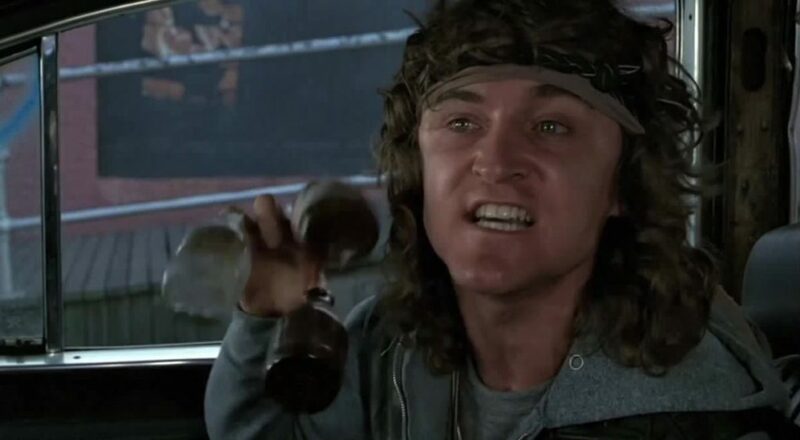 David Patrick Kelly sure made his mark on the film The Warriors, where he played, Luther. The most famous line of the film, “Warriors, come out to play!” was yet another that hadn’t been written in the script. Kelly took the moment a step further when he repeated the line a second time, but gave a unique spin on the delivery, while also holding three bottles in one hand like claws, which he then clinked together. The director loved the moment so much, he left it there. Marlon Brando may be one of the best actors in history, but he was notoriously difficult to work with. Brando was one of the pioneers of method acting, which meant he often carried his characters quirks into his life behind the scenes. The was most apparent when he appeared in Apocalypse Now as Colonel Kurtz. 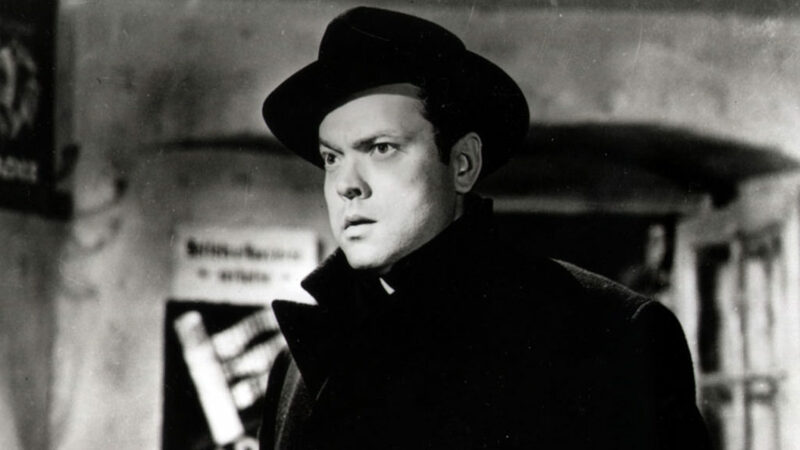 Throughout the course of the film, he refused to learn his line and allegedly even wore his script as a paper hat. In the end, he improved over 18 minutes of dialogue. When Harrison Ford starred in Blade Runner he was a relatively new talent that had shot to fame following Star Wars. At the end of it all, however, it was Rutger Hauer who featured in one of the film’s most defining moments. He began the final scene by saying what was written in the script, before deviating with additions of his own. 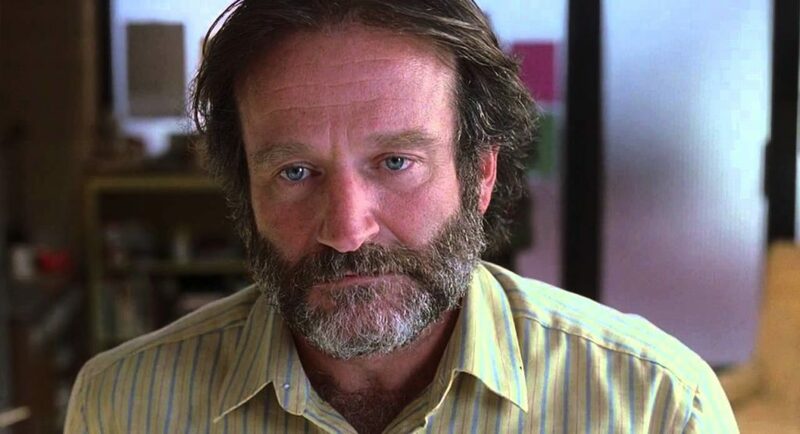 The monologue became known as the “tears of rain” speech, and practically ended up defining the film. There are few things that come to mind when thinking about the Steven Spielberg film, Jaws. One is the haunting theme that plays as the shark approaches, as well as the John Williams score in general, another has become an iconic line. 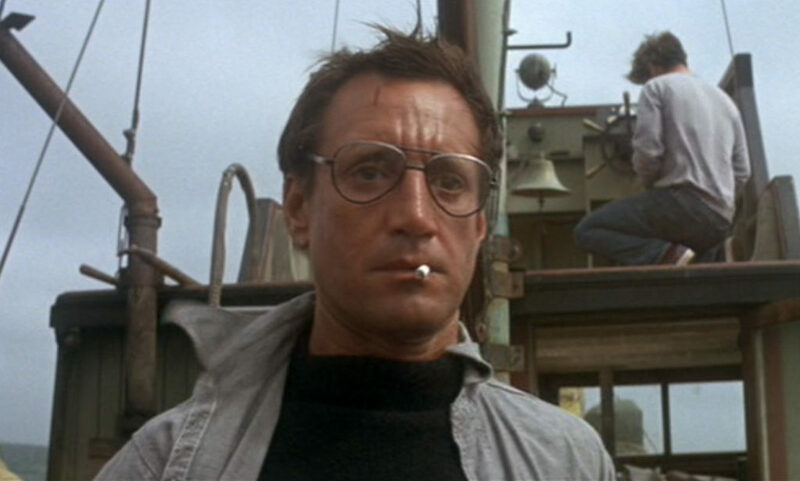 Roy Scheider was improving as Chief Martin Brody when he ends up informing his crew on the Orca, “You’re gonna need a bigger boat.” His deadpan delivery combined with the horrified expressions on everyone’s faces has cemented that moment as one of films most memorable. 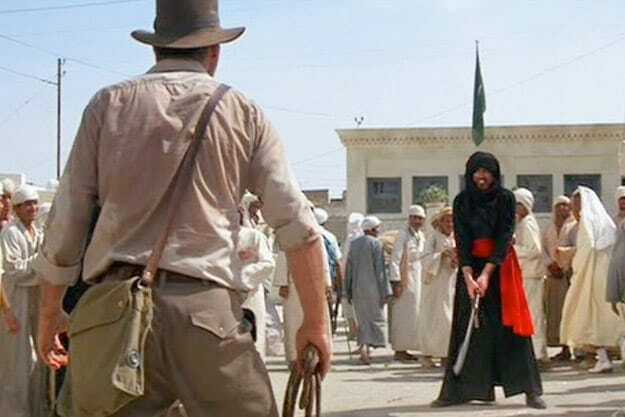 In one of the defining moments of the first Indiana Jones film, the script prescribed that Harrison Ford as Jones would have an intense showdown with a swordsman, which called for some particularly complex fight choreography. However, when it came time to film the scene, Ford had been ill for several days with a stomach bug. He asked Spielberg if he could pare down the fight somewhat, to which Spielberg agreed. His singular shot became an iconic moment for the series. 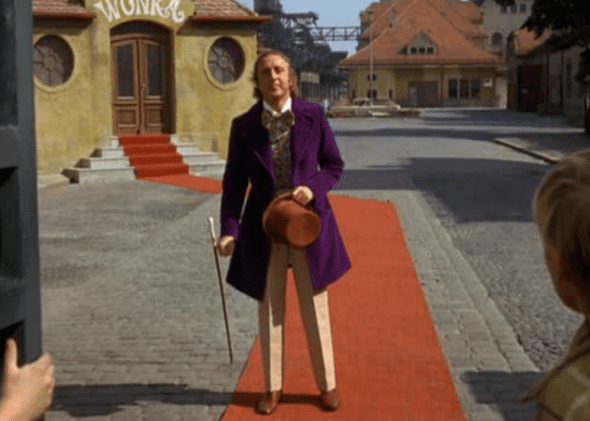 The director of Willy Wonka, Mel Stuart, knew Gene Wilder was the one who had to play Wonka before he’d even read for the role, which gave the actor a lot of leverage. Wilder allegedly had an important stipulation before he would accept, namely he would only do it if he was allowed to make his entrance in what has now become a classic moment of the film. Wonka limps towards the camera with cane, only to seemingly stumble into a perfect summersault. It’s not uncommon for directors to withhold information from some of their actors in order to get a genuine reaction from them. 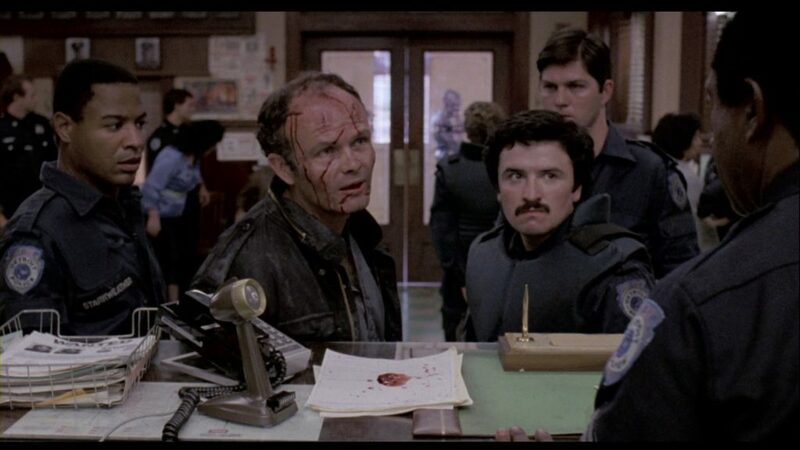 In RoboCop, the character of Clarence Boddicker, who was played by Kurtwood Smith, is taken by police after RoboCop beat him badly. Though Smith had had a conversation with the director, Paul Verhoeven, about the possibility of adding a line, they decided it was best to surprise the rest of the cast. When Smith shouted, “Give me my f***in’ phone call!” everyone was genuinely taken aback. 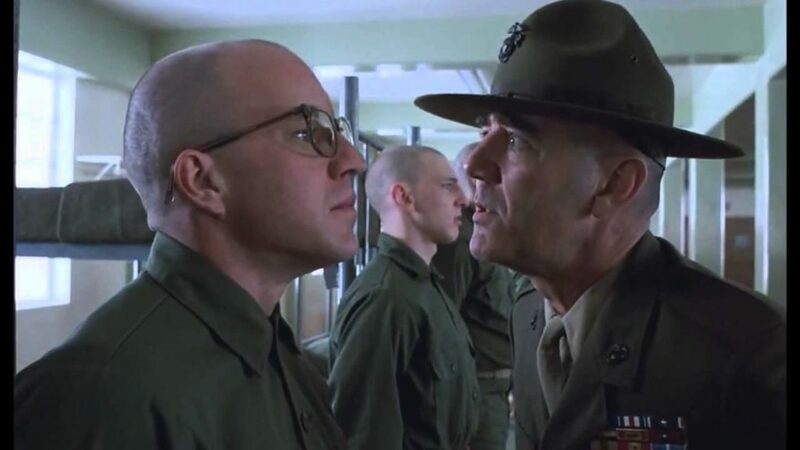 When Stanley Kubrick first decided to adapt Full Metal Jacket, he may not have realized that much of his screenplay would not be necessary to complete the film. He cast R. Lee Ermey on the spot after seeing a video that Ermey sent of himself going off on a group of Marines. Ermey’s character, the drill sergeant, became one of the most iconic characters in the film. 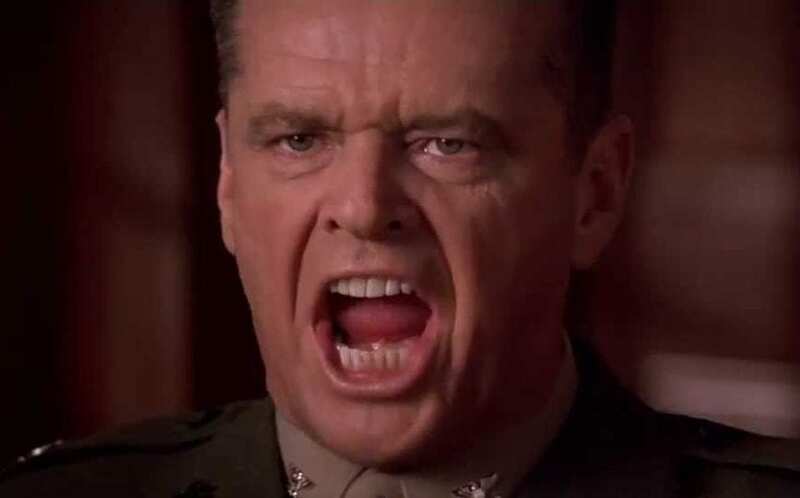 Kubrick eventually shared that Ermey made up over half of his lines throughout the film. Saving Private Ryan was a gritty and realistic look at what soldiers faced during World War II, especially with its infamous portrayal of D-Day. 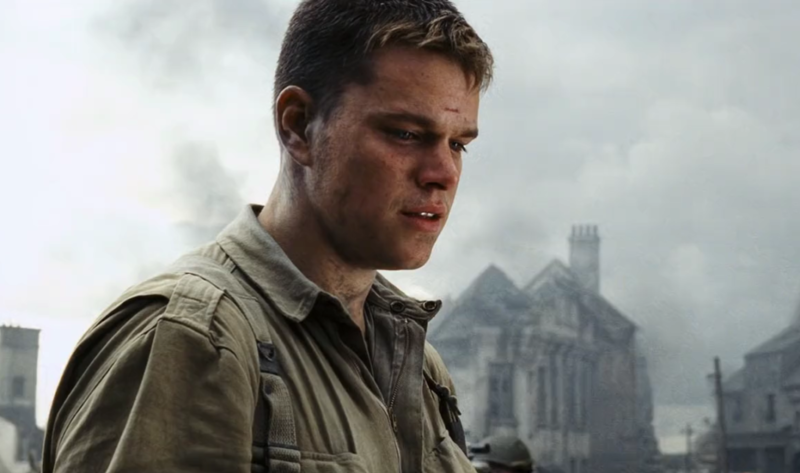 At one point in the film, Tom Hanks and Matt Damon, who played Captain Miller and Private Ryan respectively have a sincere discussion about what they’ve left behind. 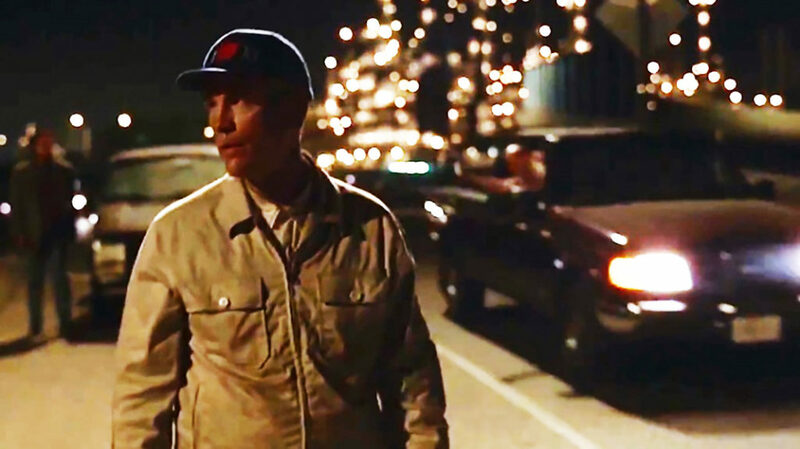 The story that Damon ended up telling to Hanks about his character seeing his fictional brother kiss a girl in wasn’t scripted at all, Damon improvised the whole thing. 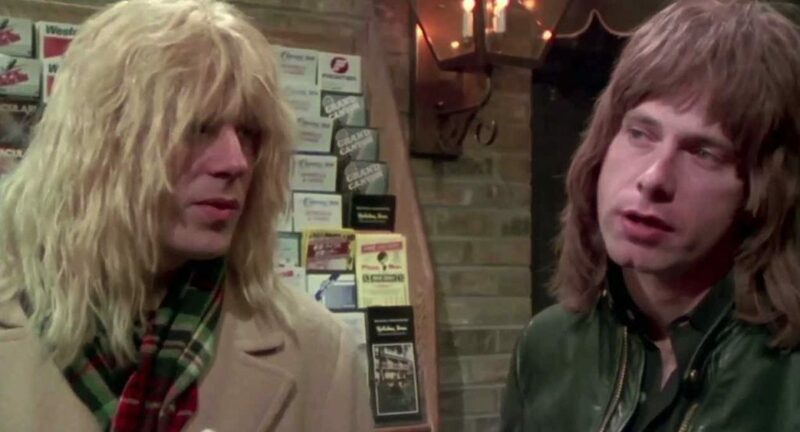 This is Spinal Tap was never intended to be a serious film. Following an invented rock band from the UK called Spinal Tap, a group of Americans even fake British accents as they spoof the 80s rock life that was common back then. Most of the movie was simply made up by the actors as they went along. They came up with so much of their own material that the actors were even given writing credits for the movie. When putting together Dr. Strangelove, which had an alternate title of How I Learned To Stop Worrying About The Bomb, the creative team knew from the start that the film would have an absurdist quality to it as it detailed the characters’ paranoia about an imminent nuclear war. 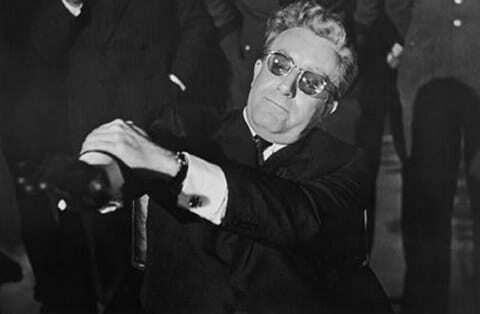 They didn’t even write a script to get going, the actors simply improvised their lines, which were then compiled into a ‘retro-script.’ One of the most classic moments of the movie was Dr. Strangelove’s compulsion to a Nazi salute. 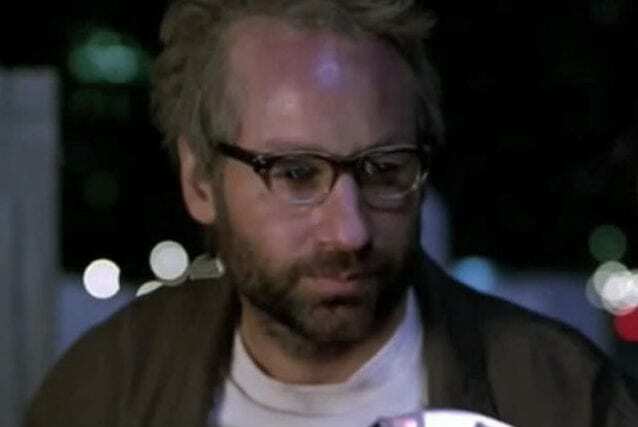 Though Derek Zoolander was mostly a vehicle for Ben Stiller, it was his interactions with other characters, namely J.P. Prewitt as played by David Duchovny that resulted in some of the best ad libbed moments. At one point, Duchovny treats Stiller to a long monologue, to which Stiller responded, “Why male models?” He had already said the line before, but Duchovny played along with Stiller’s flub, and the resulting scene ended up being so hilarious, they had to keep it in the film. The classic Mel Brooks film, Young Frankenstein was intended to be a farce of a horror movie. With this in mind, the actors brought a sense of playfulness to the approach of their characters. 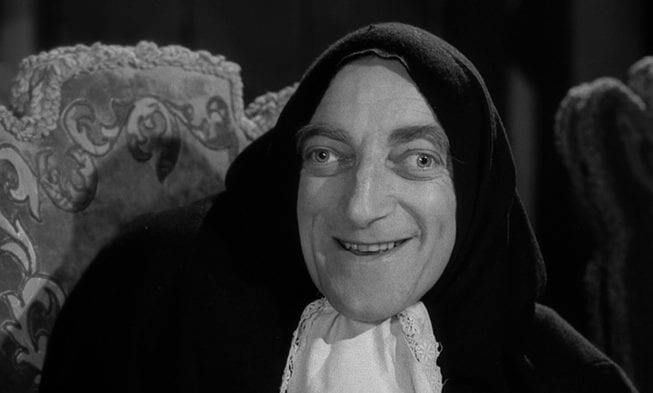 Marty Feldman, who took on Igor in the 1974 film, added many little quirks to his character. 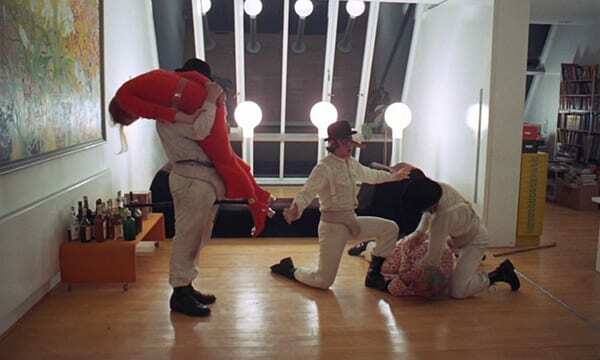 It was Feldman who chose to add Igor’s line “what hump?” which he would say as he pushed his hump further onto his back. Brooks loved it and kept it in. Dumb and Dumber ended up becoming a hallmark of 1990s comedies, with unforgettable performance by Jim Carey and Jeff Daniels as two dimwitted brothers, Harry and Lloyd as they wend their way to Aspen on a road trip beset by one near disaster after another. 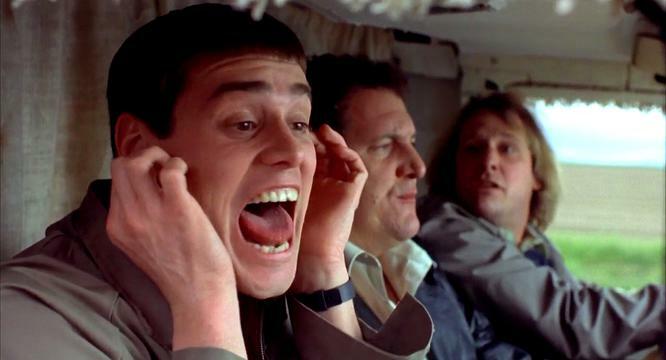 In the scene where the two guys begin to play “tag” with each other as the squabble like young kids, Lloyd decides its necessary to make the “most annoying sound in the world” for his brother. There are many emotional moments throughout Lord of the Rings. In the first movie, The Fellowship of the Ring, Viggo Mortensen as Aragorn comes under the impression that two of his hobbit friends, Merry and Pippin, who were naively brought into Frodo’s journey, were killed. 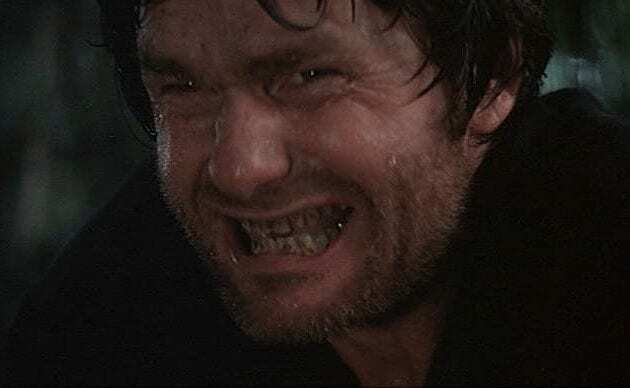 Aragorn sees a the remains of some bodies still smoldering, confirming his suspicions, and in the throes of grief kicks a helmet and yelps in real pain as Mortensen broke his toe. 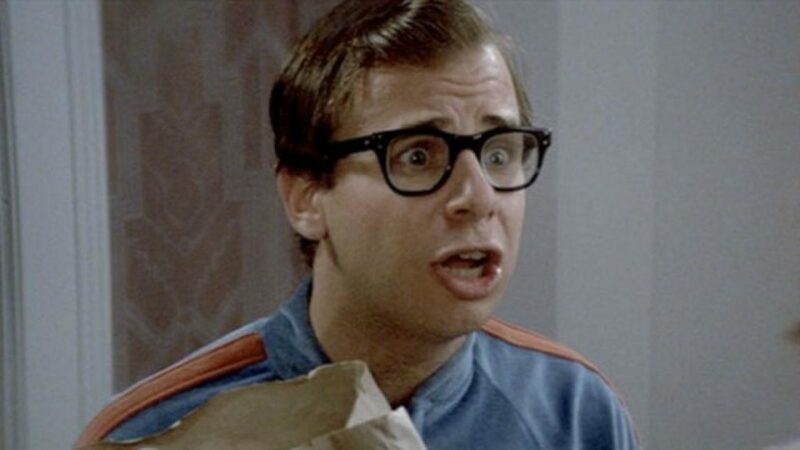 Rick Moranis is well known for his comedic roles over the years. 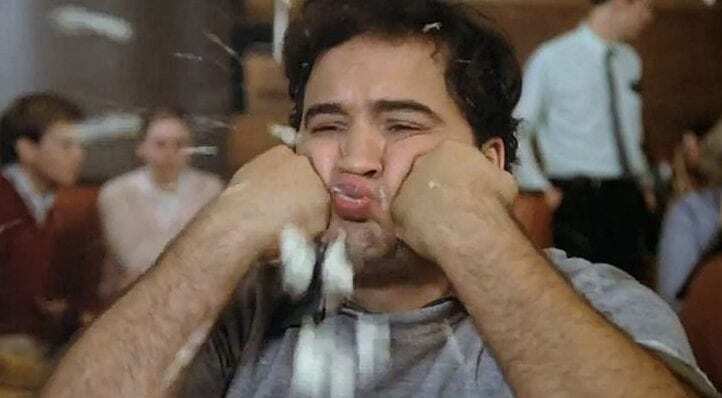 It’s no surprise that in Ghostbusters he ended up making up large chunks of dialogue as he went along, given that he famously got his start with the Chicago improve group Second City. The director, Ivan Reitman later shared a tidbit about the speech that Rick gave to party goers in one scene. “Rick just made all of it up as he was doing it.” The bit worked and became a classic scene in the movie. When Knocked Up was released in 2007, Seth Rogan finally got his moment in the spotlight. He may have started doing comedy when he was only 12, and had acted in other shows like Freaks and Geeks as a teen, but Knocked Up put him on the map as an adult. The film’s director, Judd Apatow let the cast of Knocked Up improvise in many of their scenes, which is how we ended up with hilarious bits like the one that touched on the Steve Spielberg film, Munich. Most of the time, fans are disappointed when a favorite film gets a subpar sequel. 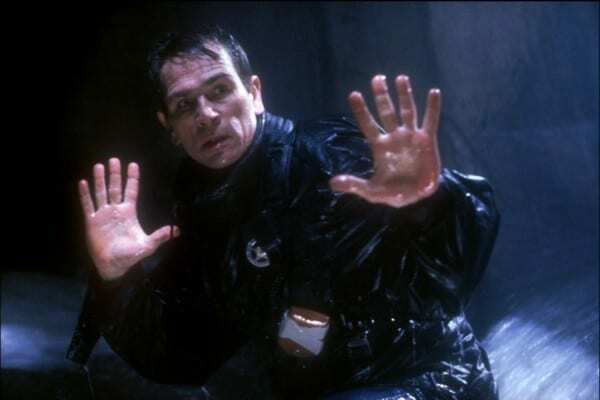 The series of Aliens movies is not one of them, however, as many regard the second film as being better than the first. 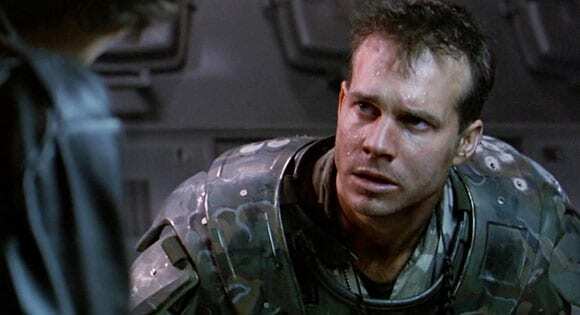 Featuring both Sigourney Weaver and Bill Paxton, who played Private Hudson, Paxton revealed that the bulk of his lines were unscripted. One of the most famous of the is the well known, “Game over, man! Game over!” For his efforts, Paxton won a Saturn Award. 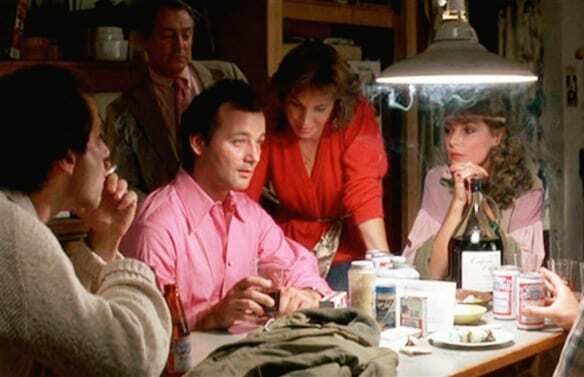 Tootsie is another 1980s comedy that shows what a genius Bill Murray is when it comes to being funny. 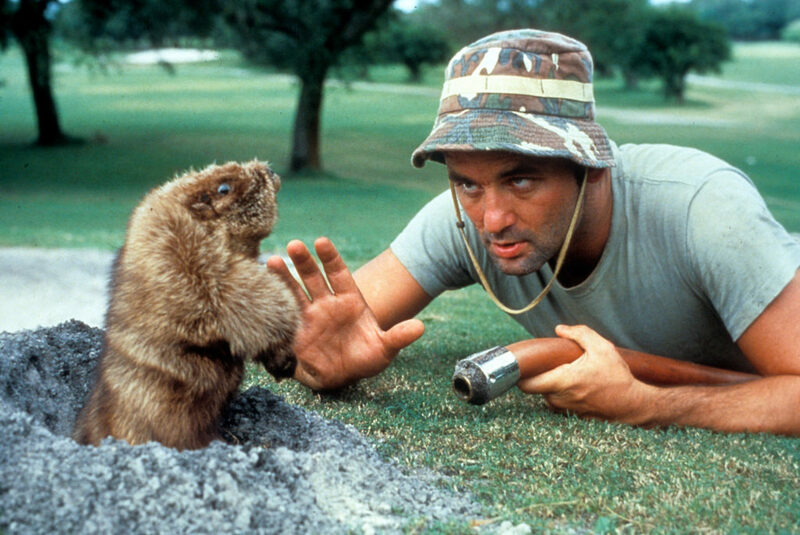 Dustin Hoffman may have been the real star of the film, but Murray stole the show as Hoffman’s character’s roommate, Jeff. The director, Sydney Pollack was familiar with Murray’s facility for improv, and asked that he come up with his own monologue for a party scene. The results were incredible, and even the cast was caught entirely unawares, since they had no idea which direction he would take. 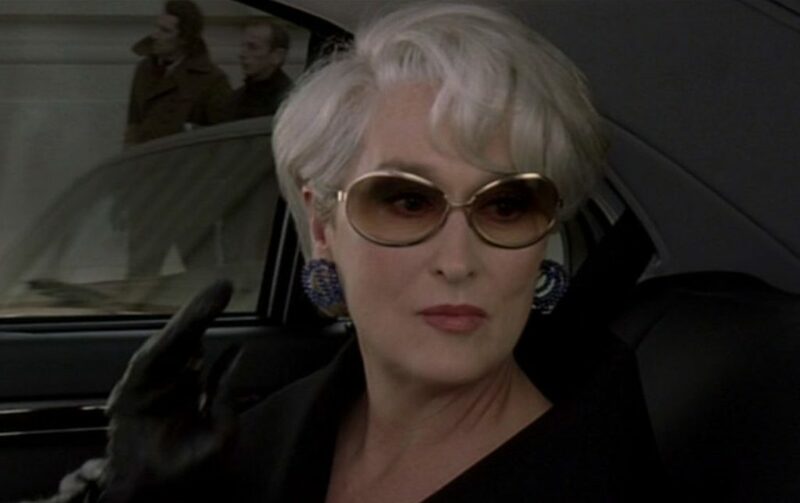 Meryl Streep gave a memorable performance as the bristly, but brilliant fashion editor, Miranda Priestly, when she appeared in The Devil Wears Prada. Streep was so in tune with the character that Priestly’s iconic line, “Everybody wants to be us,” was an invention of Streep’s. Everyone knows the classic line from The Godfather, but very few people know that it wasn’t originally scripted. When Paulie Gatto, who was played by Johnny Martino goes to assassinate Don Corleone, the whole plot goes wrong and Gatto is killed. It was Richard Castellano who added his own spin on the line, which was only supposed to “leave the gun,” but his genius improv of “take the cannoli” made the line one to be remembered for generations. Casablanca is arguably one of the greatest movies ever made, and it boasts one of the most memorable lines in film history. However, the most famous line from the movie, “Here’s looking at you, kid” wasn’t originally part of the script. 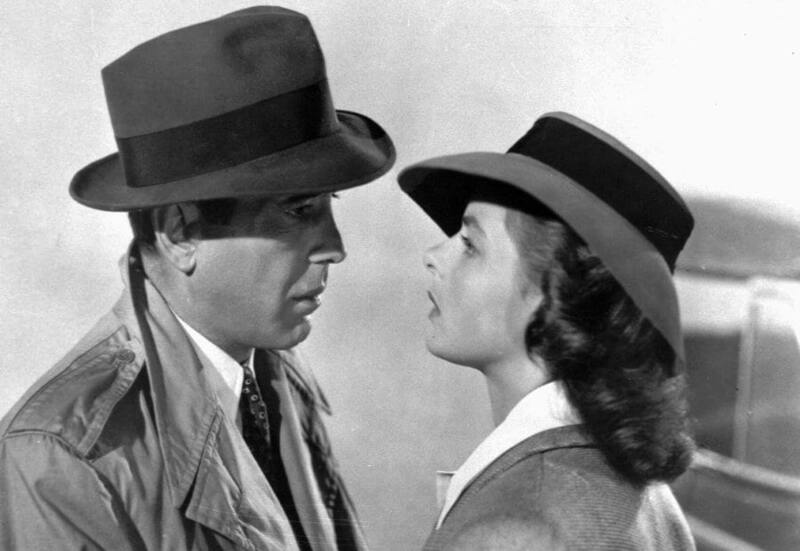 The line allegedly comes from something Bogart would say to Ingrid Bergman when they played poker on set while they were resetting for the next take. We bet the writers were just a little bummed that they didn’t think of it themselves. 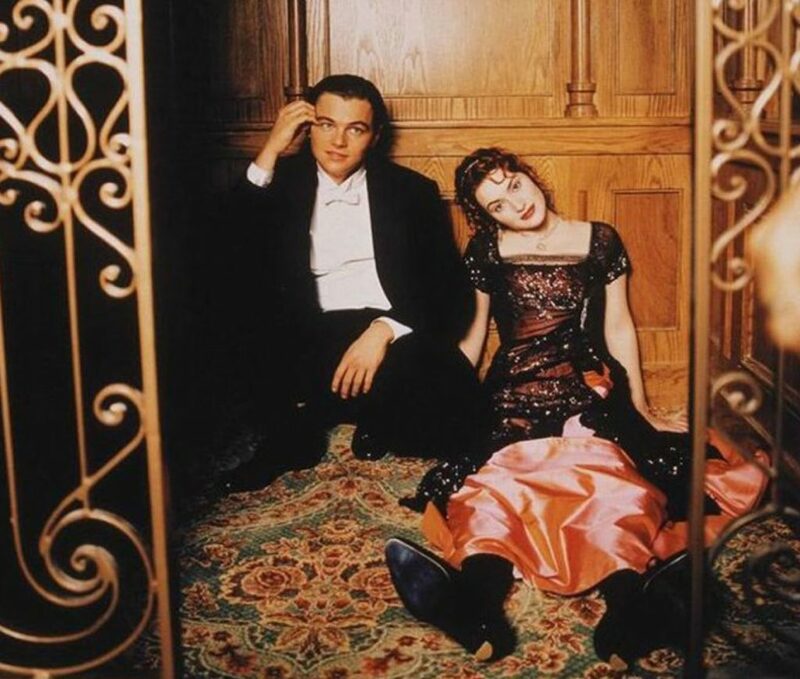 The first scene filmed in the mammoth hit that became Titanic was the scene where Leonardo DiCaprio’s character, Jack Dawson, draws Kate Winslet’s Rose. As Jack agrees to draw Rose au natural, he tells her, “Go lie on the bed…I mean the couch.” The line was a genuine flub by DiCaprio, who was just supposed to tell Rose to lie down on the couch. Director James Cameron liked the slip up and decided it should stay in the film. 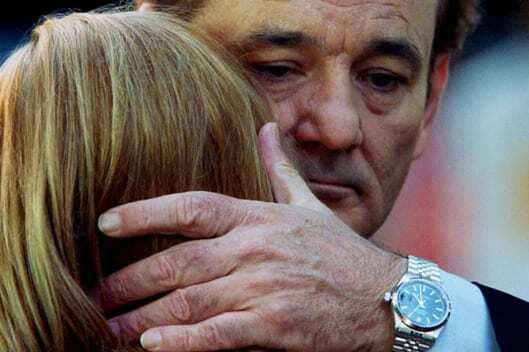 The final scene of Lost In Translation sees the romance between Bill Murray and Scarlett Johansson finally fulfilled, in the form of a chaste kiss. Originally, they two were only supposed to embrace in that scene, but after Murray whispered something in Johansson’s ear, the two felt a small kiss would be appropriate. Whatever Murray whispered is still up to debate, as it wasn’t scripted, but as an homage to the movie, he has said only he and Johansson will ever know. There are a large number of memorable scenes that occur in the film, 40 Year Old Virgin. The actors who appeared in the film are all well versed in improv and had creative license to play around with many of their scenes. 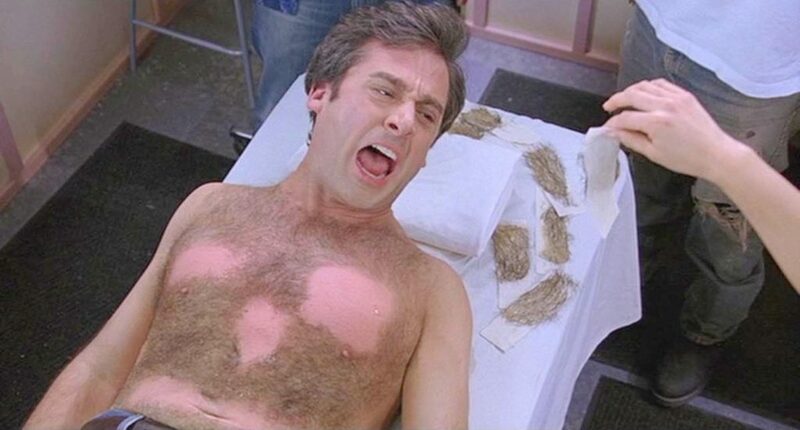 One of the funniest scenes in the movie is when Steve Carrel goes to get waxed. They did not just go through the motions with the scene. Carrel was actually getting waxed, which allowed him to give a real reaction on camera. As far as teen comedies go, Clueless became an instant classic when it was released in 1995. One of the most jam packed scenes in the movie is the scene where the movie’s protagonist, Cher, goes to a party in the Valley. At one point in the party, Donald Faison, who played Murray Duvall, shaves his head. When asked about the decision, Faison replies, “I’m just keepin’ it real.” The line was improvised by Faison, who said the phrase was something he’d heard a younger neighbor say. Bridesmaids made a splash upon its release for the casual way it inserted jokes typically reserved for bro movies into a setting written by and about women. One of the quintessential scenes that was discussed after the movie was released occurs as the women all come down with food poisoning will dress shopping. 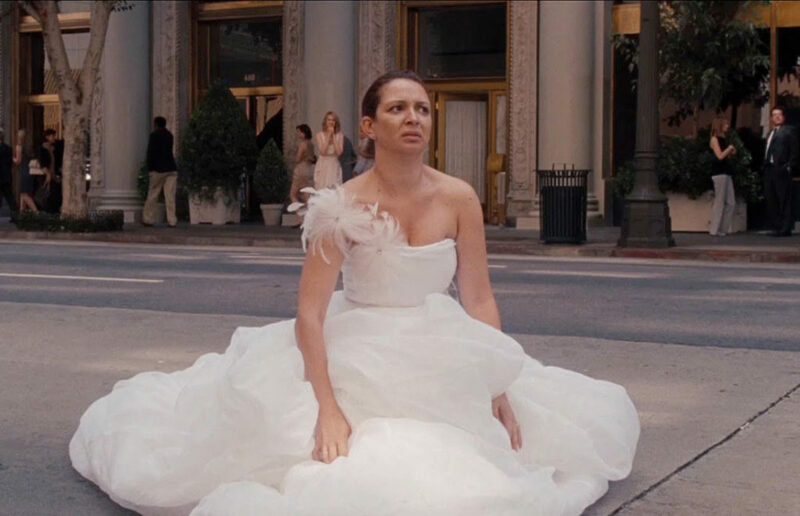 According to the cast, however, the moment Maya Rudolph sinks down in the middle of the street in the wedding dress because she can no longer hold off on relieving herself was unscripted. Julia Roberts became a true A-list celebrity after the release of Pretty Woman which she starred in alongside Richard Gere. Gere’s character, Edward Lewis, is determined to give Roberts’s character Vivian a modern day Eliza Doolittle makeover. There’s one brief scene where Gere brings Roberts a necklace in a box, but when she goes to touch it, he quickly closes the box before she can. In reality, Gere planned the stunt as a prank on Roberts, who thought it was genuinely hilarious. 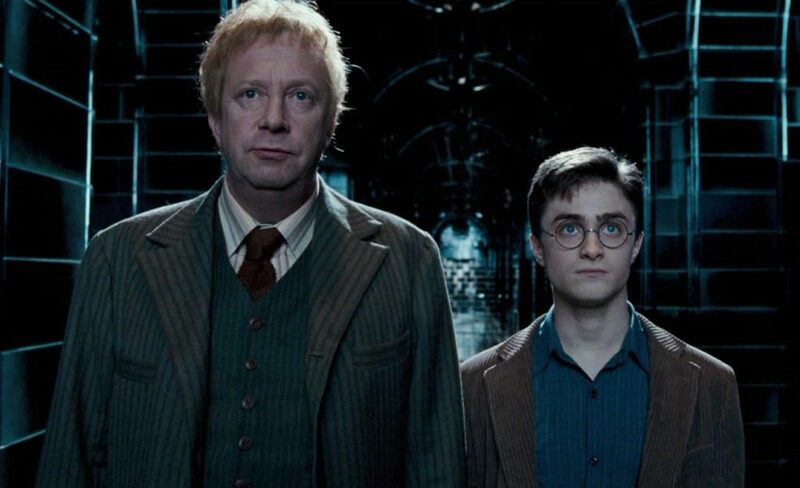 Throughout the filming of the series, a small detail that changed in every episode was never meant to be a “thing”. Fans of “Just Shoot Me!” never noticed that the bouquet of flowers in Laura San Giacomo’s office changed every single day, due to her own initiative. The new bouquet of flowers appeared on Jack Gallo’s office window and was completely different in every episode. There are many memorable lines from the highly regarded 1994 film, Forrest Gump. In particular, the scene where Tom Hanks as Forrest introduces himself to Bubba for the first time, Forrest says, “My name is Forrest Gump. 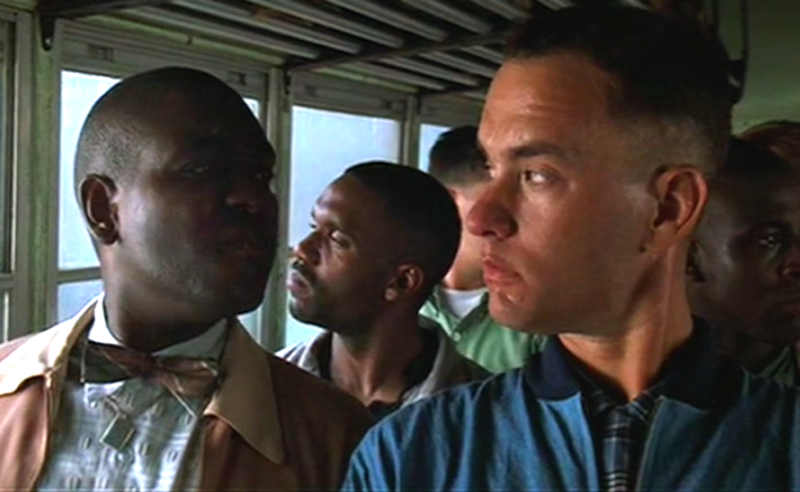 People call me Forrest Gump,” was actually improvised by Hanks. Robert Zemeckis, who was directing the film was enamored by the line and decide not to edit it out. With such an intuition for is character’s quirks, it’s no wonder that the film really cleaned up during awards season.